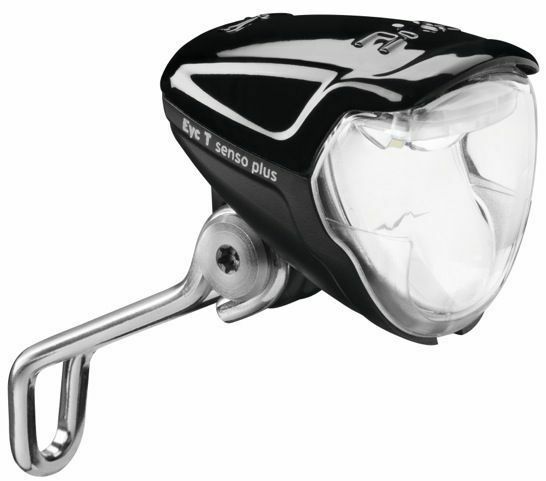 The Lumotec Eyc, pronounced like "bike", is very small and light; only 70 grams without the mount. 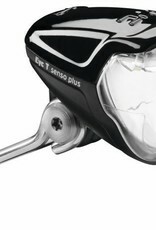 The Lumotec T Senso Plus version with "Licht 24" daytime running lights, automatic switching and standlight. The switch has two positions, Senso and Off. When in Senso mode, the light automatically adjusts between Daytime Running Light mode in daylight, and the primary LED for road illumination at night. Yup, it's really small. The beam is almost as bright as the Cyo at 50 lux, compared with 60 lux for the Cyo. It's also a slightly narrower beam than the original Cyo headlight. In use, you probably wouldn't notice the difference in width, it's that small a difference. It's ideal for the urban commuter who primarily needs to see potholes and be seen by others. 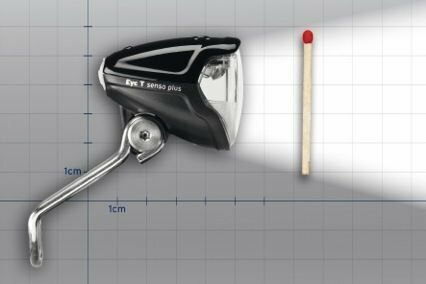 The IQ2 optics gives you good visibility at a distance, but also excellent near-field illumination of the road ahead. 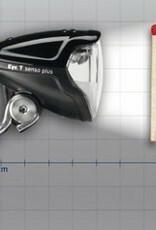 For riding at moderate speeds, 15mph and below, it's as good as any other headlight I've ever seen. It's only at higher speeds, and then only on roads that are otherwise unlit that this headlight falls short of other headlights costing much more, like the IQ Cyo Premium or Luxos B models. Those more expensive headlights have wider beams at a distance and are a bit brighter at a distance. But for the urban commuter this headlight is gob-smackin' good.